In SpectraLayers Pro 4, you can work with the individual sounds in an audio file fully visually. Transpose, extract and optimize sounds in ways never imagined thanks to the unique layers concept for the frequency spectrum. SpectraLayers Pro transforms sound into a unique visual world of multidimensional audio data. 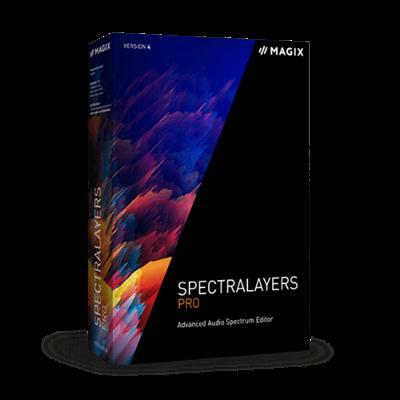 DAWs make SpectraLayers Pro one of the world's most revolutionary spectral editing platforms. Added support for exchanging audio data with Pro Tools. Added support for grouping layers. Added a tabbed interface for working with multiple SpectraLayers projects in a single session. Added support for duplicating a project (Layer >Duplicate Project). Added support for duplicating a layer to another project (Layer >Duplicate To). Added support for copy and paste between projects with sample rate/channel mismatches. check box to allow you to create selections quickly and accurately when dragging in the spectrum graph. The scale on the right side of the spectrum graph now displays an indicator when hovered.